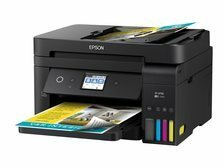 Pros With very high photo quality, the Epson WorkForce Pro WF-4750 will print, copy, scan or fax. Separate color ink cartridges mean only the empty cartridge needs to be replaced. 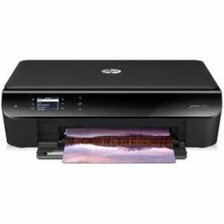 Fast printing speeds, good for high volume work. Cons Print heads may clog if printer is not used regularly. Some users have reported the printer starts smearing copies after some months of use. Summary A good printer for a home or home office use. Fast printing and WiFi or wireless printing, along with fax capabilities, this device saves time and probably money on ink refills. Pros The Brother HL-3170CDW printer does duplex printing, has a fast print speed and high print quality. It uses toner, which tends to last longer than ink. It also has Wi-Fi or wireless capabilities and will print from a smart device. Cons Any paper other than legal or letter sized must be manually fed through the machine. Users have reported paper jams from the paper tray, as well as roller breakdown. 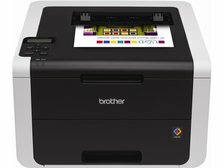 Summary The Brother provides high quality printing with good prices on toner, as well as mobile printing, but the issues with the rollers are a consideration. Pros The Canon Pixman MX922 has great print quality. Has five ink cartridges, so users need only replace the empty cartridge. Prints, scans and copies. Built-in WiFi, borderless printing and duplex printing. Cons Users have reported black lines on black and white copy, and that it drops the wireless connection if it goes into sleep mode. 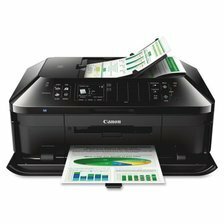 Summary This printer is about the same price as similar devices, but the savings on ink cartridges may be considerable, depending on how much black and white versus color printing users do. Pros The HP Envy 4500 will copy, scan photos and print. It has wireless direct printing, and will print from a laptop/desktop, or from a smart device. Print quality is good and setup is quick and easy. Cons Some users said there was a long delay between asking the machine to print and when it actually started the process. Does not have a USB port. Summary This multi-function device includes a wealth of features and users have been happy with print quality, whether on documents or photos. It also has a double sided print feature. Pros Users can print from their smart device with the Samsung SL-M3820DW, printing is fast and of good quality. Toner is not much more expensive than inkjet cartridges and lasts longer. Cons Users have reported difficulties with set up and unhelpful tech support from Samsung. Some users say prints are streaked and the machine will not print more than a few copies. Summary This is a black and white printer, but it does well for those who primarily print in black and white. Toner lasts longer and is cheaper than inkjet refills, thus more copies per toner cartridge.